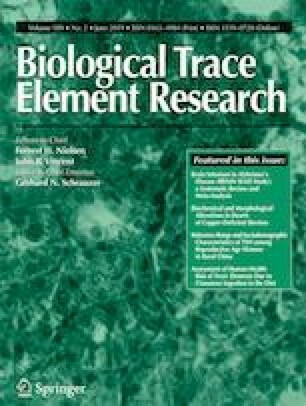 A considerable attention has been focused on the possible association between ultra-trace elements (UTEs) status and pathogenesis of many diseases including rheumatoid arthritis (RA). UTEs have important roles in numerous metabolic processes. Serum Cs, Rb, and Re levels in RA are not studied previously. The correlation of serum Cs, Rb, and Re levels with the well-known serological parameters, anticyclic citrullinated protein antibody (ACPA), C-reactive protein (CRP), ESR, and rheumatoid factor (RF) is also not studied previously. The present study aimed to measure the level and the correlation between serum UTEs with various blood tests results in RA patients. Serum Cs, Rb, Re, ACPA, CRP, RF, and ESR were measured in Iraqi RA patients who have a positive ACPA (ACPA > 25 U/ml) and compared with healthy individuals. There were significant elevations (p < 0.05) in serum levels of all the measured parameters as compared with those of the healthy control group except Rb and uric acid which have not been changed. Subgrouping of patients according to the results of CRP and RF leads to different results. In the low-CRP group, the high-RF subgroup showed an elevation of ACPA, Cs, and ESR in comparison with the low-RF patients. In the high-CRP group, the patients with high RF showed an increase in the levels of Cs, Rb, ESR, and ACPA. The patient group with high RF and high CRP showed more significant correlations between serum UTEs and serological tests. Serum levels of UTEs were significantly altered in RA patients. The variations in the serum levels of the measured parameters in RA need more investigation to explore the possible association between these UTEs and RA. RA subgroups, according to the results of CRP and CPA, produce more and various information than taking RA as a whole group in the estimation of UTEs. The authors gratefully acknowledge the assistance of Dr. Duaa Hussein Al-Hakeim in drafting and editing the manuscript. Written consents were obtained from the patients and control groups. Ethical approval for this study was obtained from the Institutional Review Board of University of Kufa, Iraq.